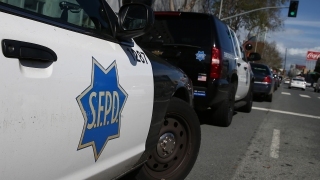 A man suffered serious injuries when he was deliberately run over in a South of Market parking lot early Sunday, police said. The 25-year-old victim was involved in an argument with four men in their 20s around 2 a.m. in the area of Third and Harrison streets, police said. Following the argument, the suspects got into a vehicle in a parking lot in the area and purposefully struck the victim as they drove away, according to police. They were last seen driving north on Third Street toward westbound Harrison Street and the freeway, and no arrests have been reported as of Monday morning.